You’ve just discovered a professor’s old journal and his notes are very intriguing. They suggest that plants can possibly be used as an alternative fuel source. Could he be right? If he is correct, what does this mean for you and for me? Get your lab coat ready as we investigate this curious case! In this course, you will take on the role of a botanist to investigate this professor’s ideas about the important role that plants currently play in our lives and how they may impact our future. Before we are able to determine if plants can be used as a fuel source, we will need to learn as much as we can about the life cycle and structure of plants by conducting experiments and field investigations. Come ready to get dirty as you unearth knowledge about plants. Your discoveries may impact how we all think about those weeds in your backyard! Καλώς ορίσατε στον Όλυμπος*! Here you will begin your journey into the fascinating world of mythology! Together we will travel back in time as we delve into the legends and beliefs of ancient Greece. We will read the original stories of heroes such as Hercules and Achilles, study fearsome mythological creatures such as the Minotaur and the Hydra, and discuss the significance of famous gods and goddesses. We will also learn how mythological stories shaped the culture of the ancient world and examine how classic myths are reflected through some of our favorite modern-day books, movies, and buildings. After this course, you may never look at the Parthenon or the Tennessee Titans the same way again! In this course we will take a deep dive into marine biology as we investigate everything from tiny, invisible plankton all the way up to the giant whales that live in the oceans! Are you curious about how fish live and interact with each other in the ocean and in lakes? Have you wondered how humans impact the lives of creatures in the sea? Have you ever pondered how bodies of water can influence life on land? In this course we will explore these questions and many more! 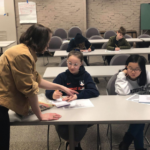 We will learn how to identify common organisms in all types of aquatic communities, examine food sources, and discuss things that can impact the health of oceanic organisms. 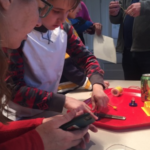 Come ready to take on the role of a real marine biologist as we explore aquatic-related topics using the scientific method. If you are a fan of Nemo and Dory and you want learn all about their home environment, then this is the course for you! Do you know someone in the military? Do you or your friends attend a public school? Do you like the park? Have you ever wondered who provides funds for these luxuries? — The government does! But, how does the government afford to provide these resources? Why does it get involved in providing services and supports, and how does the government make spending decisions? Why do local and state governments fund certain programs while the federal government funds others? We will address these questions and more as we investigate the U.S. governmental structure and a topic that is important to everyone–MONEY! After an introduction to the levels of government and spending, we will take on the role of policy consultants to investigate our federal budget, examine and create proposals for how to spend government funds, and then debate the fairness and impact of each proposal. Get ready to grapple with issues government leaders face as we tackle the topic of money! A truck carrying an unidentified liquid has crashed on a busy highway and has started to leak its liquid into a nearby creek. The city is counting on you to make sure there are no negative repercussions from this spill! In this class you will take on the role of an environmental scientist. How are you going to isolate the spill? What experiments will you need to conduct to determine if the liquid is dangerous? How will you keep people and animals in the surrounding environment safe? 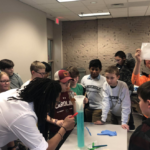 Through a series of role-play examples, scientific experimentation, and the study of complex systems, you will learn about acid and base chemistry as you solve key problems related to the spill. We will examine the damaging effects that such an event can have on the ecosystem, economy, and human transportation. Are you ready for the challenge of coming up with an appropriate solution? The city needs your help! In this course you will take an in-depth look at how the diversity of humankind is studied as you learn to think like an anthropologist. You may ask– What exactly do anthropologists do? How do anthropologists conduct research? What role does anthropology play in our everyday lives and why is it important? These are all questions that will be addressed in this hands-on, exploratory course. In this class you will be introduced to the discipline as we practice the approaches that anthropologists use to answer intriguing questions in the field. We will use ethnography, which is the scientific study of people and their culture, and learn techniques for conducting ethnographic research. Did you know that many anthropologists practice “participant observation” in which they learn about new cultures through active participation? We will practice this form of research first-hand, explore how anthropologists conduct and analyze interviews, and investigate anthropological models that explain societal structures and govern the world around us. Through our exploration of how anthropologists determine differences and commonalities in cultures around the world, your eyes may be opened to recognizing, exploring, and appreciating the many unique cultures around you! What is reality? Just because we perceive something to be real, does it actually exist? How do we know if something is real or just a figment of our own beliefs and imagination? Join us in this philosophical exploration of the relationship between truth and perception. In this course, you will discover how reality is presented and interpreted in fiction, nonfiction, art, and media by studying famous works by Plato, Shirley Jackson, M.C. Escher, and Vincent van Gogh. By engaging in reflective activities such as Socratic seminars, literary analysis techniques, skits, art, and creative writing, we will begin to apply our understanding of the difference between truth and our perception of it. We will conclude with a critical evaluation of how modern media presents reality to us and how we can train ourselves to be smart consumers of media. Test yourself – in reading or media do you see the truth or one’s perception of it? Astronomers spend their days studying stars and galaxies in space, but these celestial bodies sometimes exist for billions of years, much longer than the average lifespan of a scientist. How, then, is it possible to study these objects? What techniques can astronomers use to make scientific predictions and conduct experiments? Over the last several centuries, scientists have been carefully unravelling the laws of physics and quantum mechanics– laws that can be applied to almost all objects. In this course we will uncover how astronomers combine computer simulations and real-life observations to make scientific discoveries and predictions about the future of our universe! We will begin our studies with hands-on learning of some computer programming basics and exploring important laws in astronomy. We will demystify computer code, translating it into physical models and representations that will help us better understand objects in space. We will even work together to develop our own simulations of astrophysical objects and compare them to real observed objects in the sky. Get ready for an academic experience that is out of this world as you learn how coding, physics, and astronomy can be used together to investigate the universe!